Are you dreaming of your Summer holiday, going where the sun shines brightly, and where the sea is blue? 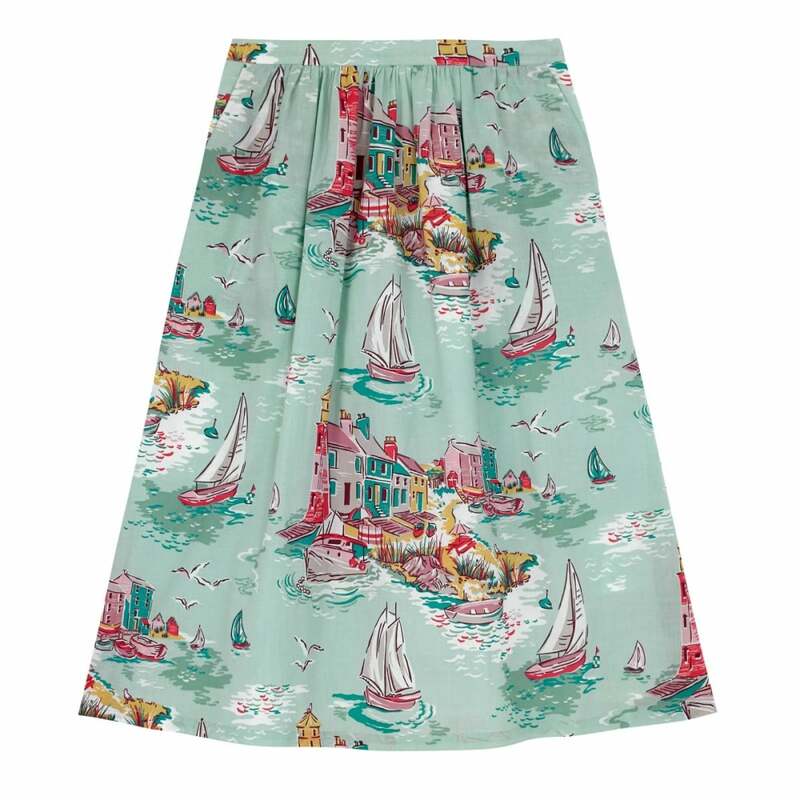 Well this lovely skirt is sure to get you in the mood! We love the duck egg shade of blue, and the bright seaside motif that decorates it. The midi length is super flattering and office appropriate, meaning that this is the perfect way to bring some play to your workday.